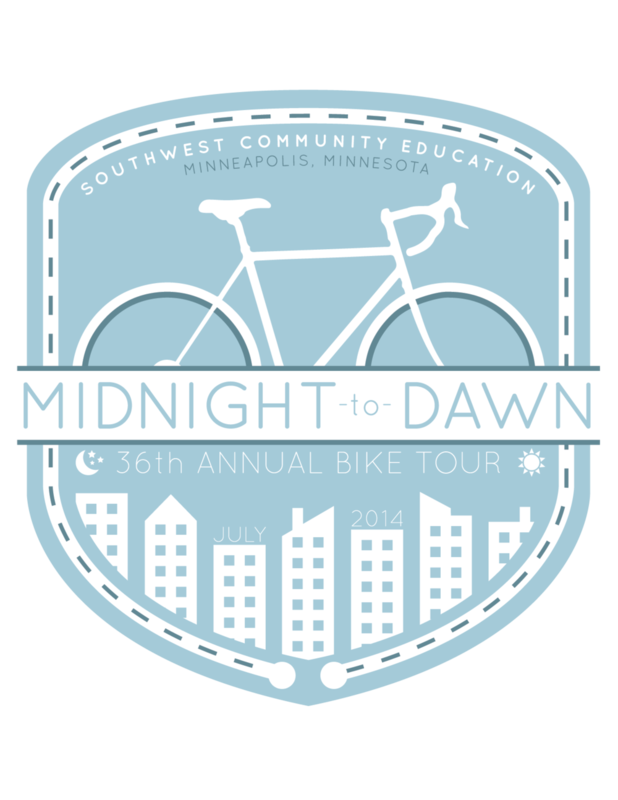 These are the designs for the 2014 and 2015, and 2016 Midnight to Dawn bike tour. 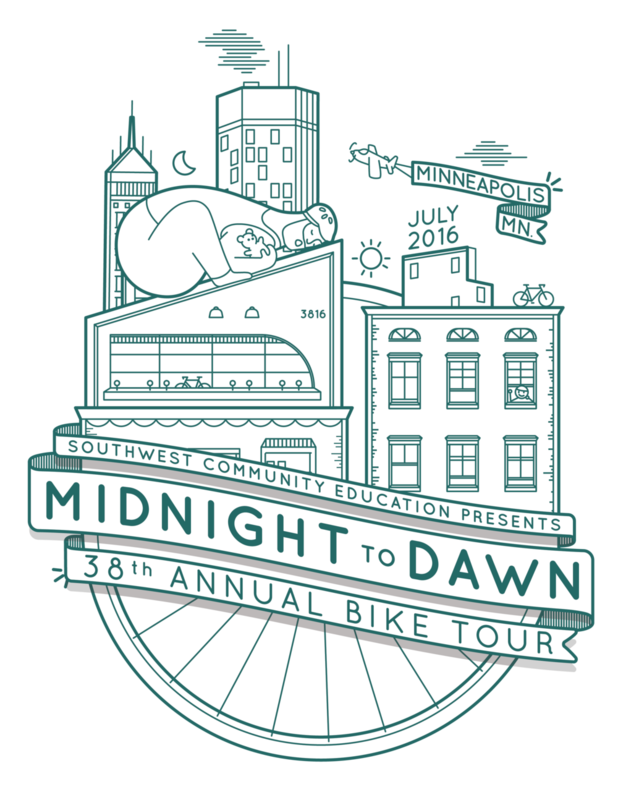 Since 1979, 200 people have gathered every year in a Minneapolis neighborhood called Linden Hills to bike to St. Paul and back again wearing one of these shirts. 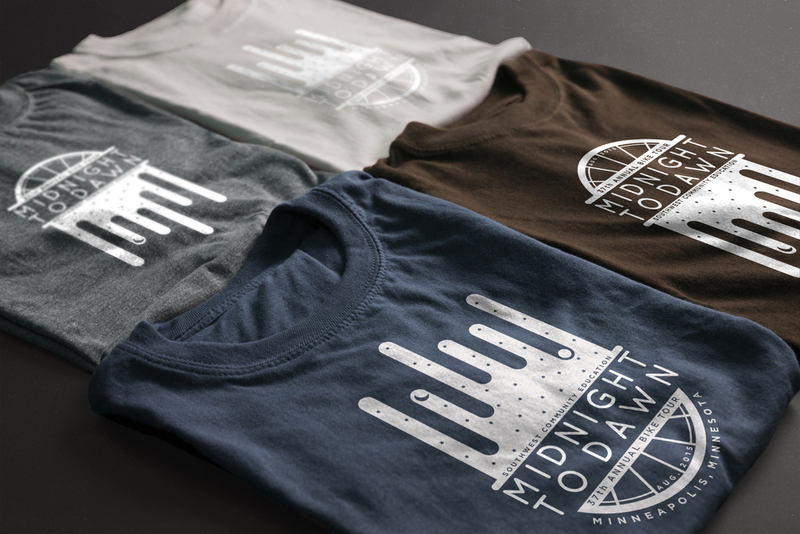 The emblem has become an identity piece of the ride and each year evolves with new inspiration.